Thomas Willing was born in Philadelphia, the son of merchant Charles Willing, twice mayor of Philadelphia, and Anne Shippen, granddaughter of Philadelphia’s first mayor. In 1740 Thomas was sent to England for his formal education, beginning at schools in Bath and Wells before culminating in 1748 with the study of law at the Inner Temple in London and of business at Watts Academy. In 1749 Willing returned to Philadelphia where he worked in his father’s mercantile trade, becoming a partner in 1751. After his father’s death in 1754, Thomas entered into business with Robert Morris to establish the firm of Willing, Morris, and Company, which became one of the most successful businesses in the American colonies. The firm purchased ships to transport their goods, selling grains and household products in Maryland and Virginia, exporting flour and lumber to Europe, and importing sugar, dry goods, and molasses. Throughout the 1750s and 1760s Willing was elected to a number of city offices including Common Councilman (1755), judge of Philadelphia’s Orphan’s Court (1761), and Mayor of Philadelphia (1763). At the provincial level, he attended the 1754 Albany Congress as assistant secretary to the Pennsylvania delegation, served as a Pennsylvania commissioner both to oversee trade with the western Indians and to survey the boundary between Pennsylvania and Maryland, and served as a member of the assembly from 1764 to 1767. He resigned from the assembly to become a justice of the Pennsylvania Supreme Court, where he served for ten years. Willing was a trustee of the College of Philadelphia (now the University of Pennsylvania) for 31 years, from 1760 until 1791. He also served as treasurer of this board of trustees from 1766 to 1768. As the American Revolution began, Willing emerged as a conservative supporter of the colonies in their grievances against the crown. He was the first person to sign the Philadelphia non-importation resolutions targeting the Stamp Act. In the early 1770s, he spoke strongly for colonial rights, but because of his many years in England and his friendship with the Penns, he did not encourage radical revolution and separation from England. In 1774 Willing was president of the first Provincial Congress of Pennsylvania, which sent petitions to Britain asking for the restoration of constitutional liberties to the colonies. On July 1, 1776, as a representative from Philadelphia to the Second Continental Congress, Willing voted against the resolution for independence. Not only did he feel the colonies were not prepared for war, but he believed that as a representative he had not been authorized by his constituents to vote on such a resolution. Willing was not elected to the next Philadelphia delegation to the Continental Congress, and when the British arrived in the city, he did not flee. On the other hand, he refused to take the oath of allegiance to George III and, from 1776 to 1780, Willing and his partner, Morris, became two of the most important figures in obtaining foreign supplies needed by the army. Because he supplied the army at a price, rather than as a free service, during and after the war he came under harsh criticism. At the close of the war Willing became president of the Bank of North America, the first national bank. As president he took strides towards reducing the nation’s debt, and that of Pennsylvania. 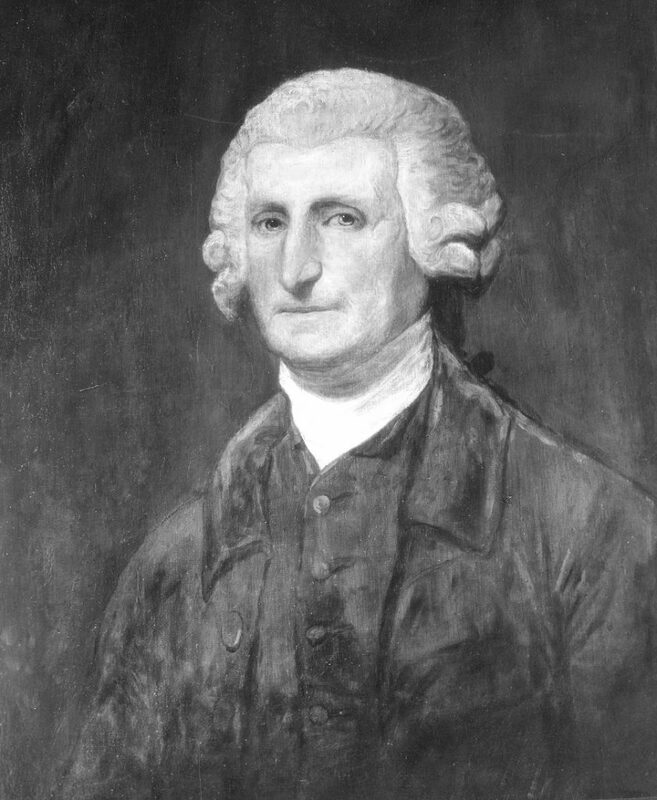 Willing was a staunch supporter of the constitution written in 1787, and became an ally of Alexander Hamilton in in his quest to reduce the national debt through loans and a central bank. Willing was made president of the first Bank of the United States. Willing married Anne McCall in 1763, and together they had thirteen children. Their daughter Anne Willing in 1780 married William Bingham, a business associate of Thomas Willing and another Penn trustee. By the early 19th century Willing had amassed an enormous fortune and made a positive and lasting mark on the finances of the nation. In 1807 he suffered a stroke that deprived him of speech, forcing him to retire from his posts. He did recover somewhat, but never returned to business. He died at Philadelphia in 1821.